Two US Air Force A-10 warplanes carried out airstrikes on Aleppo Wednesday, destroying nine facilities, Russia’s Defense Ministry reported. The same day, the Pentagon accused Moscow of bombing two hospitals, despite no Russian flights over the city. “Yesterday, at 13:55 Moscow time (10:55 GMT), two American A-10 assault aircraft entered Syrian airspace from Turkey, flew right to the city of Aleppo and bombed targets there,” Russian Defense Ministry spokesman Igor Konashenkov said Thursday. Also on Wednesday, Konashenkov referenced, the Pentagon’s spokesman, Colonel Steven Warren claimed that Russian warplanes allegedly bombed two hospitals in Aleppo. However, a senior State Department official denied the allegations, saying that Russian reports are “false,” and that the US did not carry out any missions over Aleppo on Wednesday or Thursday, NBC reports. On Wednesday, the US accused the Russian Air Force of targeting two hospitals in Aleppo. The spokesman for the Russian Defense Ministry drew attention to the stunning similarity of the situation with the American airstrike on the Medecins Sans Frontieres hospital in Kunduz, Afghanistan, and the US bombing of the positions of the Iraqi army in Fallujah. “What they do first is make unfounded accusations against us – to deflect blame away from themselves. If it goes on like this, we’re going to make two media briefings: one for ourselves, another for those coalition guys,” Konashenkov said. Western countries never bothered to share intelligence on terrorists in Syria with Moscow, although they did accept Russian maps with terrorists’ positions marked, the Russian MoD’s spokesman said. “Now they criticize us, saying we fly wrong way and bomb wrong places. Should we send them more maps?”Konashenkov questioned. He recalled what the Russian Defense Ministry had pointed out earlier – the more terrorists Russia destroys the more it is being accused of indiscriminate airstrikes. “If you look at how Western media presents information, it looks like the cities not controlled by the Syrian government are full of peaceful opposition and human rights activists,” the spokesman said. The Russian Defense Ministry and its partners in Syria operate multilevel intelligence, maintaining unimpeachable target spotting, the MoD representative said, adding that all airstrikes are delivered only after repeated verification of a target to avoid civilian casualties. Konashenkov said intelligence also comes from the armed units of the Syrian opposition. Konashenkov accused Western TV channels of presenting the ruins of the city of Aleppo, devastated long before the Russian Air Force was deployed to Syria, as the results of recent Russian airstrikes. 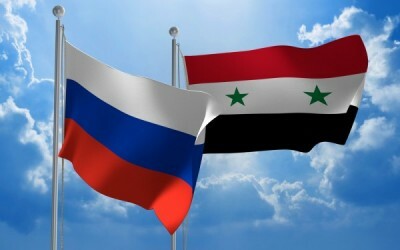 The Russian Air Force has performed over 500 sorties, eliminating nearly 1,900 terrorist facilities in Syria between February 4 and February 11. The Defense Ministry reports that two senior terrorist field commanders have been killed. The MoD spokesman shared with the media about wholesale desertion among the terrorists in Aleppo. The jihadists intimidate local civilians and force them to walk en masse towards the Turkish border, while the militants try to melt into the crowd. “They know for sure that neither the Russian Air Force nor the Syrian government troops ever deliver strikes on non-combatants,” Konashenkov said. Elaborating on some details of the latest Russian airstrikes in Syria, he related how Sukhoi Su-25 ground-support fighters eliminated three terrorist convoys on the highway connecting Homs and Al-Qaryatayn. A reconnaissance check revealed that airstrikes destroyed nine trucks loaded with munitions, two armored vehicles and over 40 jihadists. In Daraa province, a Sukhoi Su-34 bomber wiped out a hardened terrorist position near Ghariyah settlement. The strike that destroyed the fortified strong point also eliminated two armored vehicles parked nearby.